Dubai: Foreign Direct Investment (FDI) Capital flows into Dubai reached Dh38.5 billion in 2018, up 41 per cent from 2017. As a result, the Emirate climbed to sixth place from 10th in global FDI capital flows ranking, according to ‘DUBAI FDI Results & Rankings Report 2018’ of the Dubai Investment Development Agency (Dubai FDI), an agency of the Department of Economic Development (DED). “We are proud to announce the latest results of FDI capital inflows in 2018, which has reached Dh38.5 billion, a growth of 41 per cent over 2017, taking Dubai to the sixth place from 10th in global capital flows into greenfield projects. Dubai has also attracted 523 FDI projects in 2018, an increase of 43 per cent over 2017, elevating the emirate’s global ranking in the number of new investment projects to third from fourth,” said Shaikh Hamdan bin Mohammed bin Rashid Al Maktoum, Crown Prince of Dubai and Chairman of The Executive Council of Dubai. Dubai’s top ranking in global ranking of "Top fDi performers 2018" follows the city being featured among the best performers in reports like the Global Cities of the Future; Digital Economies of the Future; Aerospace Locations of the Future; and top global free zones of the year. The "Top fDi Performers 2018" report, published by the Financial Times’ fDi Intelligence magazine is based on data compiled by fDi Markets, the world’s leading online platform that monitors capital flows and new FDI projects around the world, and fDi Benchmark, which identifies the best FDI destinations based on comparison of latest FDI data. 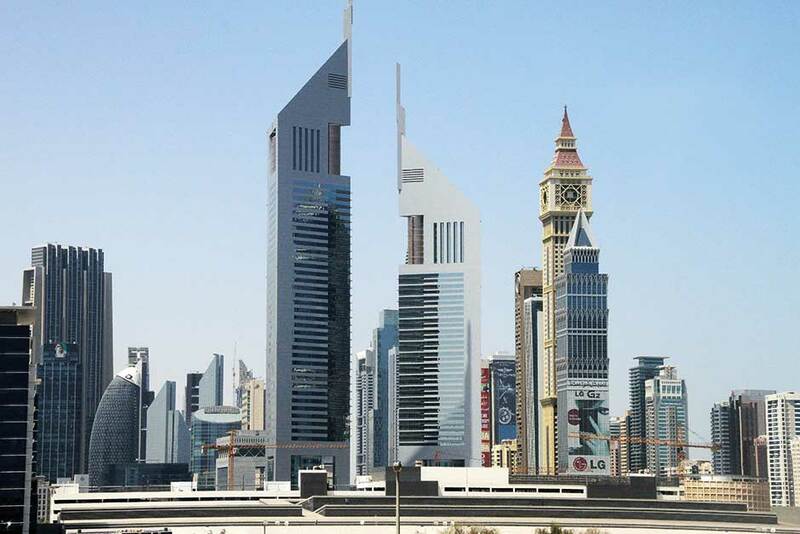 The report highlighted that Dubai has dominated global FDI rankings throughout 2018, followed by London, Paris, Dublin and Singapore, as the leading city globally in foreign direct investment (FDI) in 2018. Shaikh Hamdan emphasised that the latest achievements reflect global investors’ continued confidence in Dubai’s ability to sustain economic growth, and further boosts its global leadership. “FDI plays a central role in the transfer of knowledge and technology as well as in attracting global talent, which are the pillars supporting the emirate in achieving its goals set in the Dubai Plan 2021 and the 50-Year Charter aimed at strengthening Dubai’s position as a pivotal hub in the global economy,” Shaikh Hamdan. Dubai’s success in achieving record levels of FDI inflows follows global FDI flows declining by 19 per cent in 2018 as reported by the United Nations Conference on Trade and Development (UNCTAD). “Dubai’s achievement reflects the resilience, diversity and competitiveness of Dubai’s economy on a global scale. The emirate has continuously developed its investment ecosystem, offering new strategic advantages for investors and the business community, including developing the emirate’s infrastructure and regulatory environment as well as launching a range of incentives to accelerate economic growth," said Sami Al Qamzi, Director General of DED.